The Grand | Just Shooting Memories! This past weekend, I made it to First Friday in Canton, the Tellus in Cartersville and the Car Show the first Saturday in Cartersville. The car show was completely by luck. I had forgotten that there was one the first Saturday of every month. We were in Cartersville and I ran across it only because a train was going through town and I decided to try to go across the bridge instead of the tracks. Several of the participants were talking about the show and that it had been canceled on account of Easter, but everyone still seemed to be showing up. This is definitely one I will make it back to. 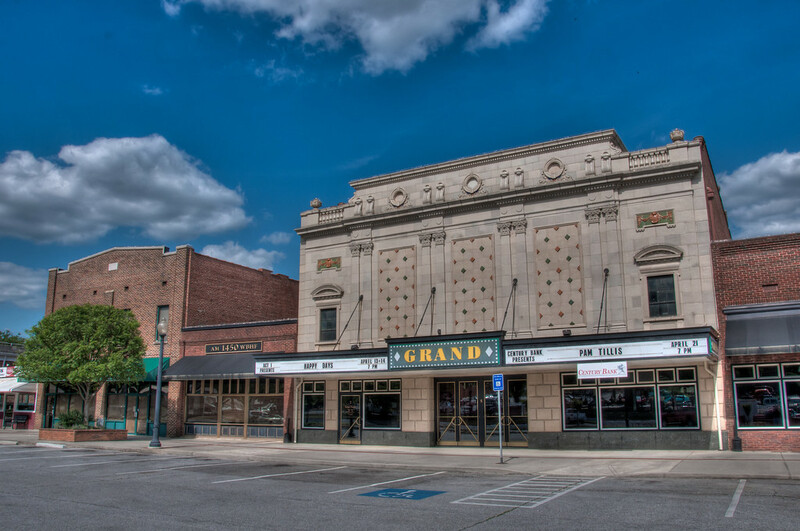 While I was getting a few shots of the cars, I went across the tracks and got the Grand theater.